#Microsoft365 – As part of my overview of Microsoft Apps & Services, we’ll be taking a look at StaffHub today. StaffHub is a new application for Office 365, focused at helping staff workers manage their workday. Frontline staff workers typically don’t have their own office / pc’s, but still need the ability to access and share information. StaffHub is the perfect solution to this AND SO MUCH MORE. Cloud-based platform that works across all devices. Workers can create & manage schedules and tasks. Use chat and IM presence. Send messages and share documents, videos etc. Office 365 F1 is a plan specific to the firstline workforce which includes Email, Skype for Business, Teams, OneDrive, SharePoint Online, Yammer, Office Online, StaffHub, Sway, Stream, Flow, PowerApps. 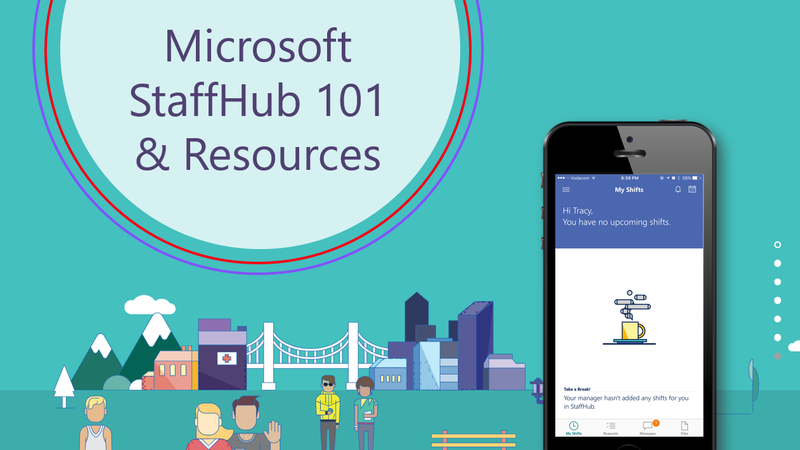 StaffHub is available as part of the Office 365 K1, E1, E3 and E5 plans. Is available on the web as well as for iOS and Android apps. All users need a Office 365 account. Workers can swap shifts and request time off.